Our Amish handcrafted Modern Panel Bed has a simple design that will lend a touch of class to any bedroom. 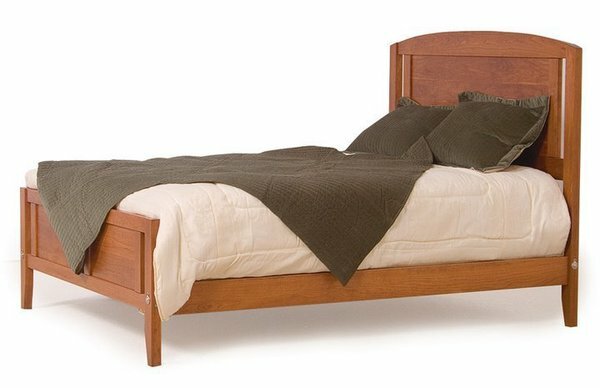 This hardwood bed is available in twin, full, queen, king and California king sizes.This panel bed is Amish handcrafted from your choice of solid oak, maple or solid cherry wood. Please call one of our furniture specialists to receive finish samples. If you are matching to existing bedroom furniture we are happy to do custom stain matching. This bed takes about 8-12 weeks to complete since it is custom made. Please call with any custom requests or questions on this bed at 1-866-272-6773. Our Amish Furniture Specialists will be happy to assist you!